Still looking for a perfect gift or set on gifting a plant but don’t know what to get? Don’t worry, we’ve got you. We’re all stocked up on popular plants and personal favorites, but to make things easier for you we’ve put together this handy guide. Below are some of our favorite plants to give as gifts. Cardboard Palm in a terracotta Wash Pot. These oddities are always a people pleaser, with their fun silhouette and their unusually stiff leaves. Though they can be harder to find, they’re quite easy to care for. 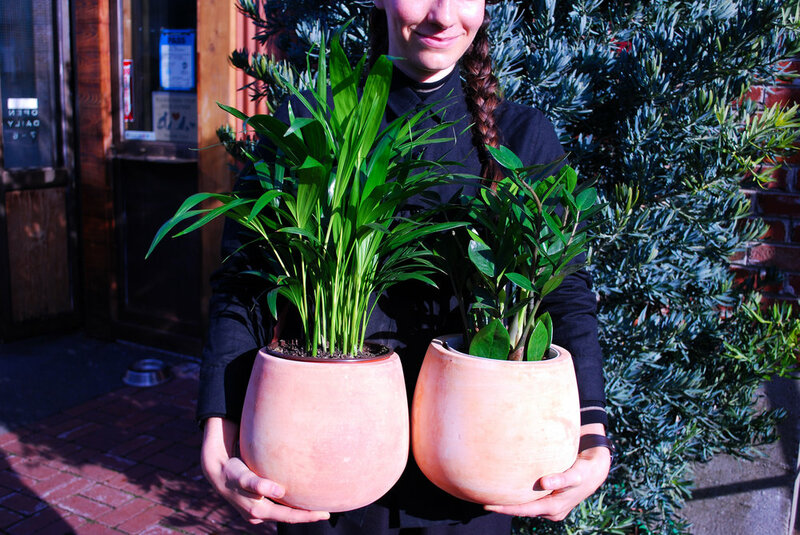 Give these plants bright but indirect light and water when their soil is halfway dry and they’re good to go. While they grow slowly, their new leaves are so fun to watch as they form, and the plant will mature over time to be a bush with long, attractive fronds. 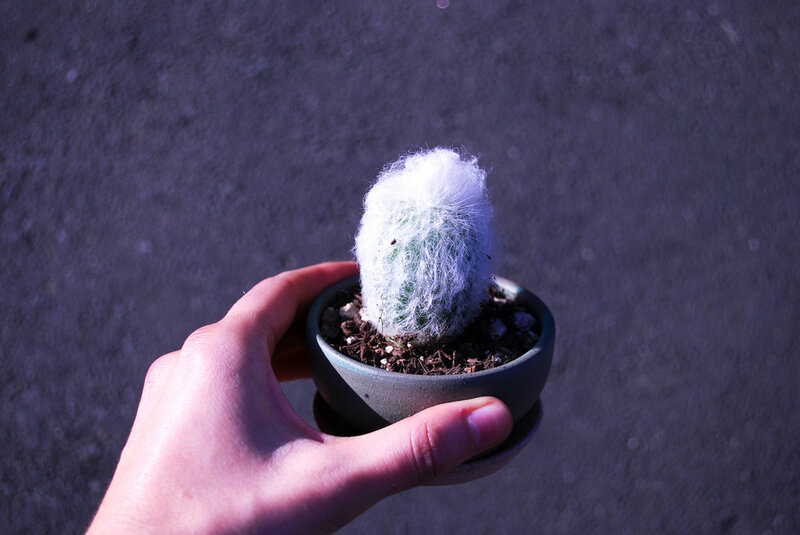 A ‘Hairy Old Man’ Cactus in a Stephen Moellering cactus planter. Who doesn’t love a cactus or succulent? With so much variety, a cactus or succulent popped into a handmade pot makes a perfect, go-to gift. Give cacti and succulents plenty of direct light and water occasionally and they’ll grow (and hopefully flower) for many years to come. 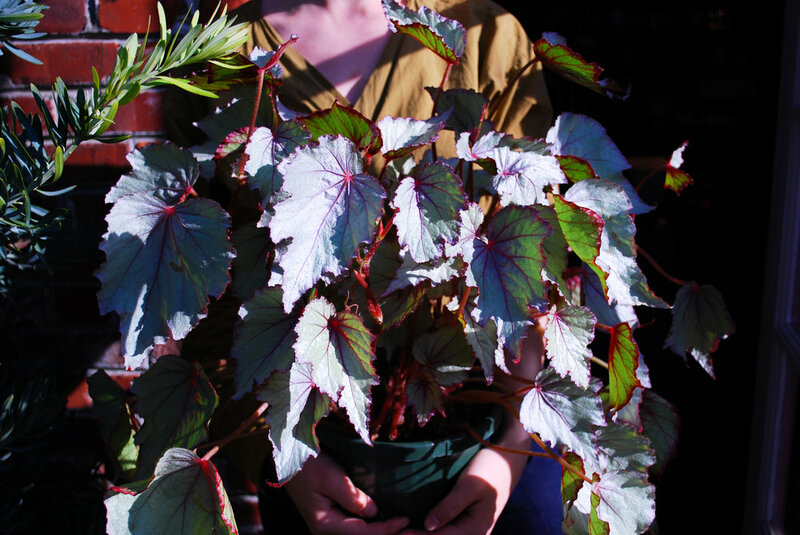 If there was ever an “extra” plant, it would be the begonia. Begonias come in so many colors, shapes, and patterns; are easy to propagate; and flower incessantly with good light. We feel begonias have gotten a bad rap for being “finicky” plants — give they plenty of bright indirect light and only water them when their soil is dry or the plant begins to droop. Under those conditions, a begonia should flourish. We all have that friend or relative who wants plants but kills every one. Meet the Zamioculcas. These plants thrive on neglect. Stick them in a dark corner, a poorly lit office, or leave town for 2 months and they’ll be totally fine. A Zamioculcas will like bright indirect light to very little light, and only wants water when the soil is completely dry. We would expect watering to be once a season. Nothing says “simple” like a palm. A staple in modern, minimalist interior decor, the palm adds a splash of green energy while not attracting too much attention. They come in a variety of sizes and shapes, and don’t need much more than bright indirect light and water when the soil is about half way dry, maybe e every week or two. We’re currently loving the Areca palm with it’s classic silhouette and surprisingly simple leaves. Hope this helps! As always, feel free to contact us with any questions, or drop by the shop during our extended holiday hours.